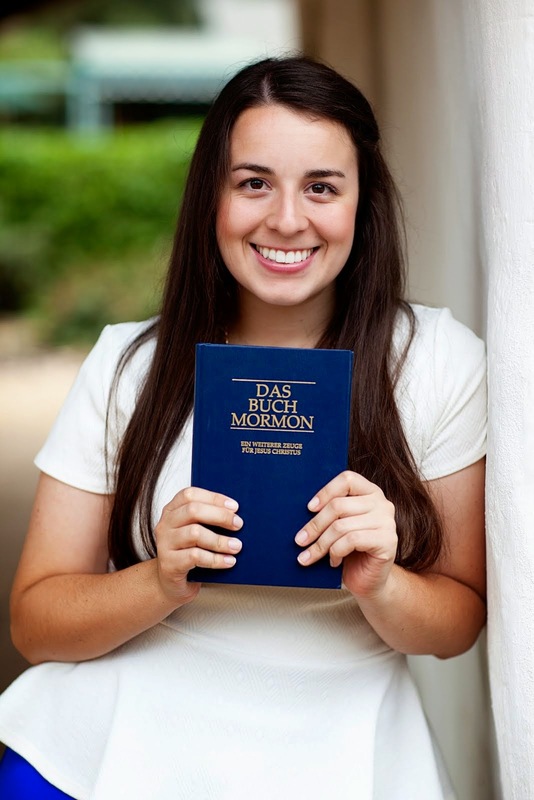 The Twin in Berlin: Guess Who Translated Sacrament Meeting???!!! Guess Who Translated Sacrament Meeting???!!! WHAT A WEEK. Here we are, on the eve of my 8 month mark!! Wahhh! Can't even believe it! But alas I say that every week, haha. Let's move on to the new stuff. BERLIN. (highlight of the week) Friday. YES MOM Jacob and I did plan on standing next to each other in the picture. So it all started out on Thursday. The office sent a text out telling us to go check our train times as the Deutsche Bahn (German Train) was striking Wed and Thurs. sure enough our planned train fell out so for like two days we kept going back to check other options to get to Tiergarten. We made it there just fine and stayed in an apartment with 8 sisters in total. Good stuff. Friday we walked to the chapel. Lots of missionaries were already there. It was SO FUN to walk in and see tons of missionaries, including people I had not seen for moooonths!! So we actually sat in the row behind Jacob (Elder Clarke), so we caught up some, he's funny. It is just so weird to think that we are on the other side of the world from California, and yet there we were! Good times. I saw all of my old comps too (outside of Trainer Norton) (implied) (hey Trainer Stacie when you see this online) WHICH IS ALWAYS WONDERFUL. Sister Harris and Murdock were just Heaven to greeeet!!!! So the mission conference was about IPADS. We will be the first mission in Europe to get Ipads!!! Two general authorities were there, Elders Kearon and Nielson (think he just spoke in conference) THEY WERE HILARIOUS. Tell the Rich family that they chose the perfect namesake for their baby!!! They were so fun, and yet at the same time so full of the spirit. Something that they said, and is probably the most important thing that I took away from the meeting, is that the first Presidency trusts us. 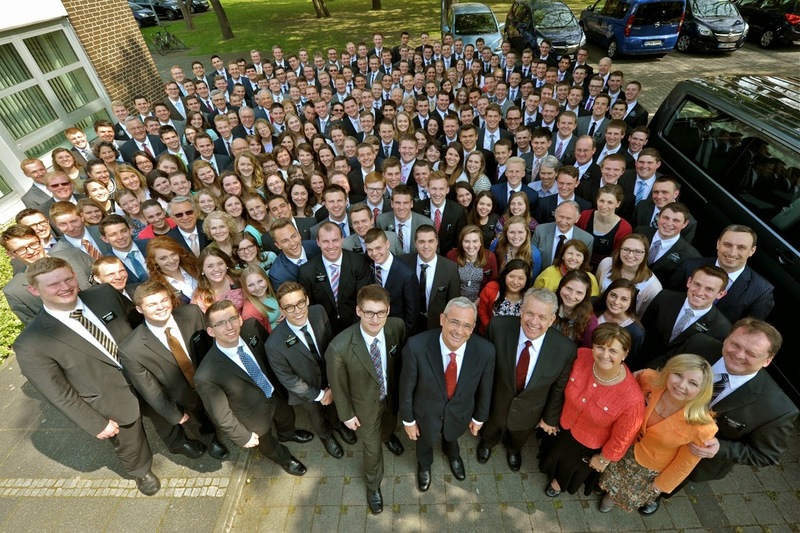 They said that many parents and members would have concerns about giving such young kids technology on a mission, but the First Presidency responded that they trust us, so they will do that. Sinks deep doesn't it!? It did for me. And I know that they represent Heavenly Father. I know that Heavenly Father trusts me. He knows that I can be effective in this work. What a blessing to know and feel the truthfulness of that. After the General Authorities left, President and Sister Kosak spoke to us, and we sang a lot together. I love singing as a mission! It's probably one of my most favorite things. President and Sister Kosak sang this Russian song for us and it was just so coooool. I was dying. After it was all over, we chatted and took pics. Then back to Bahnhof! SIster Brim and I DID get a Berlin Döner. DREAMS CAME TRUE. Although we walked like a mile to find a döner laden, it was totallllly worth it. We were sooo tired when we got home, but so spiritually filled. THanks for the good times Berlin. Besides Berlin being awesome, we were able to watch the Restoration film again with Frau Devers and her husband and two of her kids, a 13 yr old and an 8 yr old. The 13 yr old didn’t say much, but the 8 yr old told us after how "still" she was after it was done, as she normally asks tons of questions and talks a lot (her words not mine) but she was totally touched by the spirit, that was way cool. Her husband said he really looks forward to coming to church, and he can see by the way the members are that there is something different about this church. Frau Devers told us that watching the movie a second time really strengthened her testimony of Joseph Smith, one of her concerns she'd had. So Frau and Herr Devers came to church, along with the 8 yr old daughter. It was awesome!! We met with Frau D this morning, and she told us that she is just DONE with smoking! She said she cleared all her stuff out. Man I could totally feel and just see the growth of her faith! She said so herself she knows it is growing. IT IS SO COOL TO EXPERIENCE THIS WITH HER. Sister Brim and I were saying how we really do nothing, it is all the spirit that is working on her. Man kann es einfach merken! SPEAKING OF CHURCH. Guess who translated sacrament meeting???!!! THIS GIRL. OH man it was my first time translating EVERRRR. So the only people who need the Enlish translation are Mehrdad, an Iranian convert, and then.....uh the Bishop!!! haha no pressure there, right? So I sat outside in the hall with the little microphone and just blabbered away the whole time. Luckily the Deacon sitting out there with me probably doesn’t know English so he couldn’t tell if I was doing a good job or not, haha. Overall it was fiiiiiiiine. It was a solid first experience. I was getting really nervous right before the talks were coming, and I offered up a humble plea to Heavenly Father to help me. I felt just fine after that. Nothing too dramatic or anything, but all I needed was calm nerves. I asked, and I received. Big or little, I know that Heavenly Father is there for us. haha at one point I said "Uh, I think he's talking about an earthquake or something, but I'm not really sure, sorry!" haha that was my funny experience for the week. Last week was a bit hard for me, but this week was much better. It is so interesting how quick and easy we can change our attitudes. I know that we ALWAYS have something to be happy about. For example, God is real, and Jesus is our Savior. Need we more? DIDN’T THINK SO. I know that Joseph Smith was a prophet of God, and I know that the Book of Mormon is true. Read it!! Reading and living the principles will make us happy, and will bring us peace. It Took Me About 45 Minutes, BUT I SCHAFFED IT.